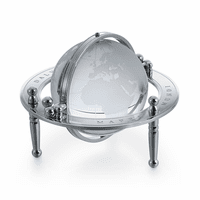 FEATURES/SPECS Add a touch of old world style to your work space with this bookend. 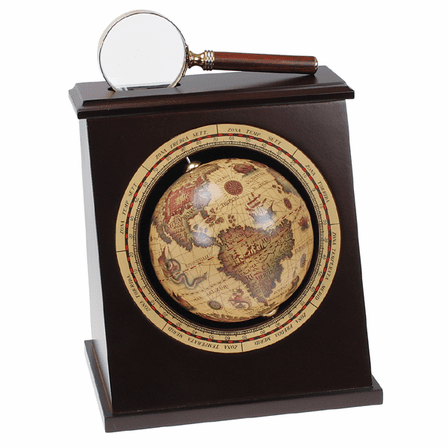 Made of cherry finish solid wood, it features a spinning globe in front that is antique tone with vintage style artwork. The top of the glove has a working magnifying glass that is cradled in a cutout when not in use. Both the top and bottom have a border that juts out over the edge. A felt lining on the bottom keeps your desktop scratch-free. 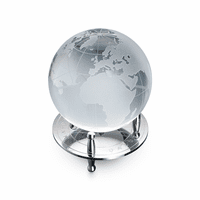 Add a laser engraved brass tone plate to the front area beneath the globe free of charge, ideal for employee recognition awards or team building gifts. 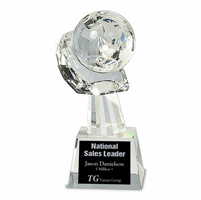 Dimensions of bookend: 6 1/4" x 4 1/2" x 7"
I want to personalize mine. Where are the lines located? 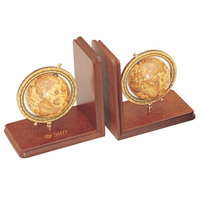 Your personalization is laser engraved on a gold plate, mounted on the wood area beneath the globe. Very well made in all aspects. Not too light or too heavy, just right to hold a good stack of books. I have it holding about 20 medium sized textbooks. 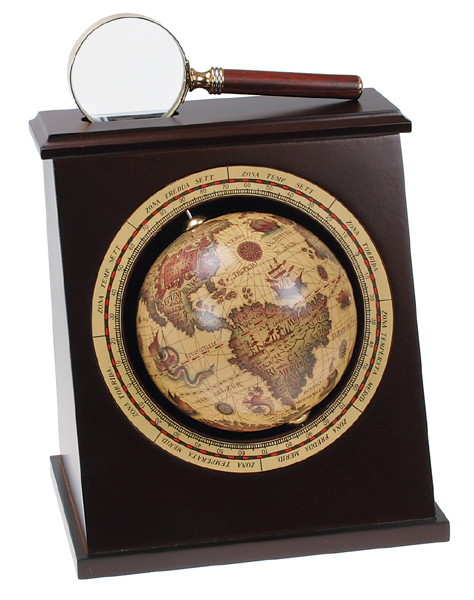 Very nice working magnifying glass, works well. ConsCould be a tad heavier.